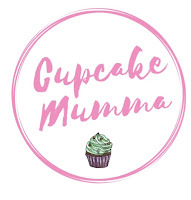 Cupcake Mumma: Day 8/31 What's in you Handbag? Day 8/31 What's in you Handbag? I thought I'd go for the honest approach here so I didn't even clean my bag out to pretend I didn't have items such as broken biscuits (not pictured!) lids and lolly pop sticks. I carry a big bag around on the buggy like most parents but now little man is a bit older I have gained back a bit of me and my love of handbags with a nice one from Accessorize...Still there are nappies, wipes and what not in there though! No escape from baby paraphernalia evidently! - My camera, the one which isn't too big and heavy to annoy me! It's oddly interesting to have a peek into someone else's bag like this as it's not something you'd actually do in 'real life'..well i wouldn't anyway! Labels: 31 day blog challenge, whats in your handbag? Cute! I love all of the pink. They're very handy aren't they :) thank you I live pink for sure!